Hammer Horror, I bloody love it! Ever since I was little I've had a lot of love for Hammer films and this was my second film of theirs that I had the pleasure of viewing. It was Hammer that taught me the value of a great story-telling and this feature was, and infact still is, great evidence of that. The film stars the iconic Peter Cushing and he is always a pleasure to watch, whenever he pops up on your screen you can't help but grin a little. Director and Hammer regular Val Guest creates a masterpiece with this film and a lot of film-makers could take note from his work. 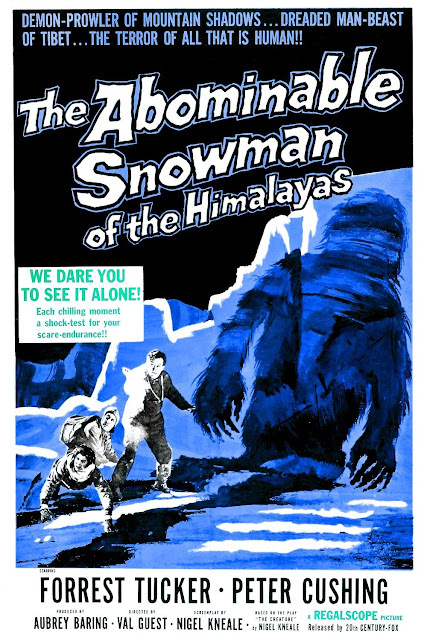 "The Abominable Snowman" is a fun film, it makes for great Sunday afternoon viewing. This was Peter Cushing's first of 22 Hammer films. Like the "Quatermass" films produced by Hammer (The Quatermass Xperiment (1955), Enemy from Space (1957) and Five Million Years to Earth (1967), this was based on one of Nigel Kneale's television dramas, BBC Sunday-Night Theatre: The Creature (1955). 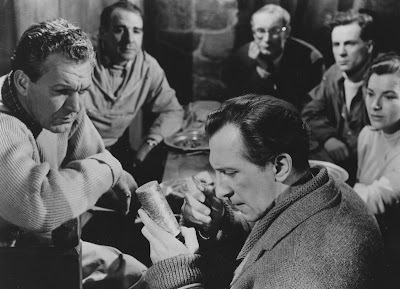 Although Peter Cushing reprised his role as John Rollason from BBC Sunday-Night Theatre: The Creature (1955), Forrest Tucker replaced Stanley Baker as Tom Friend in the film version. The only other actors to reprise their roles from the original television version are Arnold Marlé (The Lhama) and Wolfe Morris (Kusang). In 2013 it was announced that Matthew Read and Jon Croker were scripting a modern take on the story for Hammer Films, with Ben Holden producing. 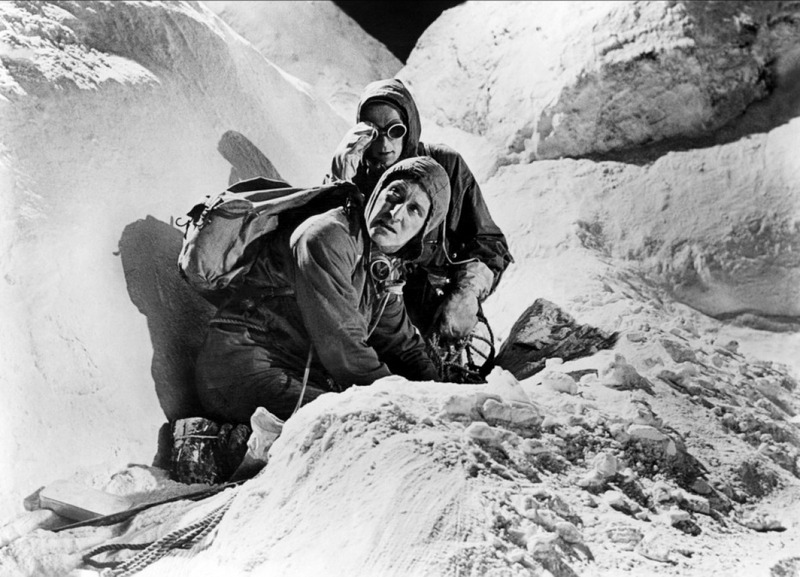 The film was originally to be called "The Snow Creature" before it was realised that director W. Lee Wilder had beaten them to it with The Snow Creature (1954). The American distributors, paired The Abominable Snowman, as a double feature with "The Crawling Eye" 1958 which incidentally also starred Forest Tucker. The coming attractions at the theater showed clips from both movies, and scared the bejeebers out of this author when he was ten year old. 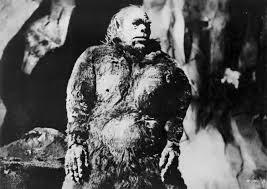 The only Hammer film to be produced by Aubrey Baring, and the last made in association with Robert L. Lippert.